This painting is part of Ting Yuen’s Artist Diary. This painting is inspired by my niece, Hannah. 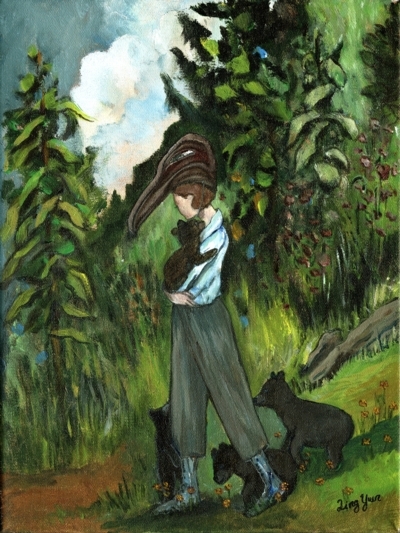 impossible, I thought how fortunate she was to have dreamt of such intimacy with the bear cubs and hence Hannah’s Dream was painted.